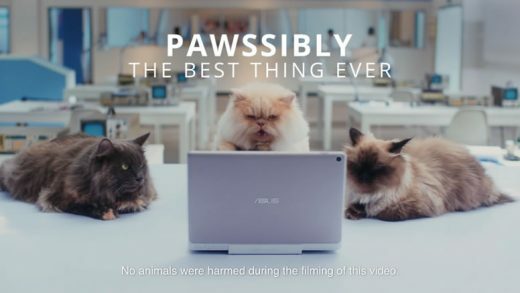 An interesting and humorous video has shown up from Asus. You could call this one rather unique. Like cats? It’s good to see that there is still ZenPad marketing happening. In a lot of ways the customizable features of the ZenPad 7.0 and ZenPad 8.0 haven’t gotten their due appreciation or spotlight. I’m sure part of the reason is attributable to the lack of supply on some of the cases like the Audio Cover for example. Some countries are still struggling to have in-stock supply which makes it even harder to create buzz.